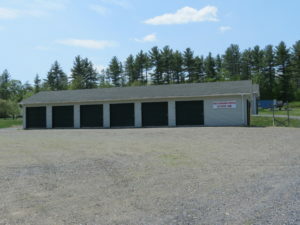 Are you looking for a self-storage facility in Skowhegan, Maine? Got a bunch of extra stuff sitting around the house that you simply don’t have space for? Or, are you moving? If so, you are in the right place! Welcome to our website. 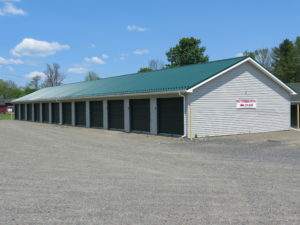 We are Harold and Helen Holmes, owners of Holmes Self Storage, located at 601 Middle Road (Route 104) in Skowhegan, Maine. The purpose of this website is simply to show you what we have to offer. Please review the information below to get answers to the most common questions. Feel free to contact us by phone anytime. You can leave a message and we will return your call as soon as possible. Our home/office phone number is (207) 474-8769. Or, you can call us on our cell-phone at (207) 474-1176. Just ask for Harold or Helen. Feel free to stop by if you want to speak to us in person. We live on site. 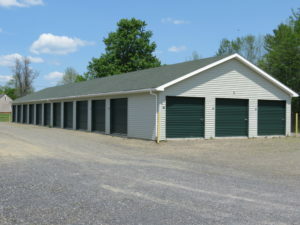 In addition, you can reach us by email at holmes@holmesselfstorage.com. We offer several sizes to choose from. 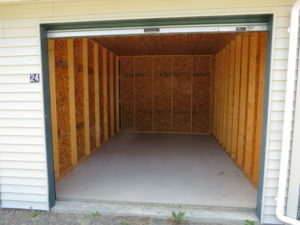 Here are a few photos of the storage units to give you an idea as to what they look like. We currently accept cash or check. Please give us a call at (207) 474-8769 for information. What do you have available? Units come available from time-to-time, but also fill up quickly. 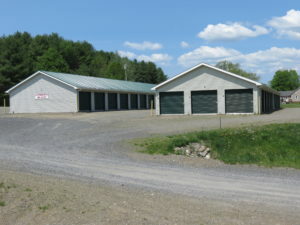 Please call us to see what we have available. How much do the units cost? The units are different prices for different sizes. Please call us for details. How can I pay you? We currently accept cash or check. Are my items covered by your insurance? No. In many cases, your items are covered by your own homeowner’s or renter’s insurance policy. Please check with your insurance company to find out. Do I have to sign a long-term contract? No, we do not require a long-term contract. You can rent month-to-month. We have resided in Skowhegan, Maine for most of our adult life. Harold enjoys buying and selling antiques, fishing and hunting. Helen enjoys reading and working in her garden. They have two grown sons, Ben and Charles Holmes. 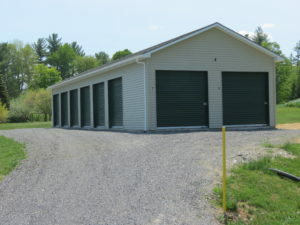 Why not give us a call at (207) 474-8769 to see what we have available? Or, you can send us an email to holmes@holmesselfstorage.com. We look forward to serving you. Have a great day.